University of the Philippines Diliman (UPD), the main campus of the country's premier university, is definitely my most favorite spot within Manila. Not only it is called the cradle to many of the country's great minds and thinkers, it is also home to many cultural icons like the Oblation and the ikot jeepneys. Called a "microcosm of the Philippines" because of the many things going on around there, UP is not just your regular university campus. I personally visit it for a myriad of reasons: to eat (and have coffee), to attend mass, to meet friends, to walk (or jog or bike), and to sit still (and breath). And a true Diliman experience for me is never without spending a good deal of time people-watching at the Sunken Garden, digging on Mang Larry's famous isaw, and a hearty tapsilog meal at Rodic's. Especially during sunsets, the green canopy of the acacia trees providing shades to the joggers and students along the Academic Oval is quite a beautiful sight. It is like a refuge, a step away from the hustle and bustle of the city crowd that surrounds it. 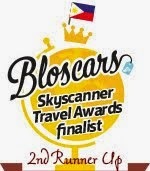 Visit UP Diliman whenever you can, and just take time to commune with trees and nature (without leaving the city). 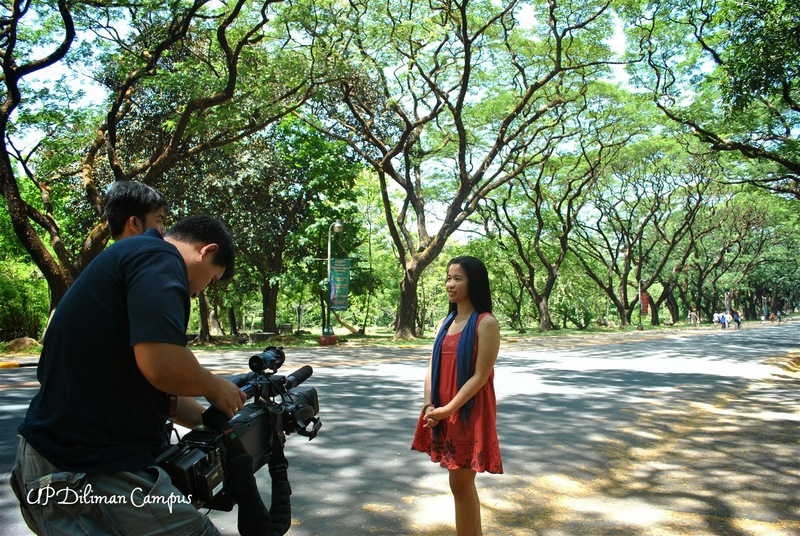 At UP Diliman during my interview with GMA7's 24 Oras. Check the story here.